This study examines a selection of Chesterton’s novels, poetry, and literary criticism and outlines the distinctive philosophy of history that emerges from these writings. Looking at Chesteron's relationship with and influence upon authors including William Cobbett, Sir Walter Scott, Belloc, Shaw, H.G. 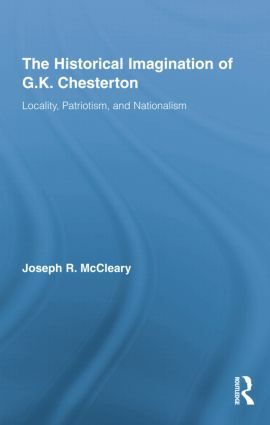 Wells, Christopher Dawson, Evelyn Waugh, and Marshall McLuhan, McCleary contends that Chesterton’s recurring use of the themes of locality, patriotism, and nationalism embodies a distinctive understanding of what gives history its coherence. The study concludes that Chesterton’s emphasis on locality is the hallmark of his historical philosophy in that it blends the concepts of free will, specificity, and creatureliness which he uses to make sense of history.